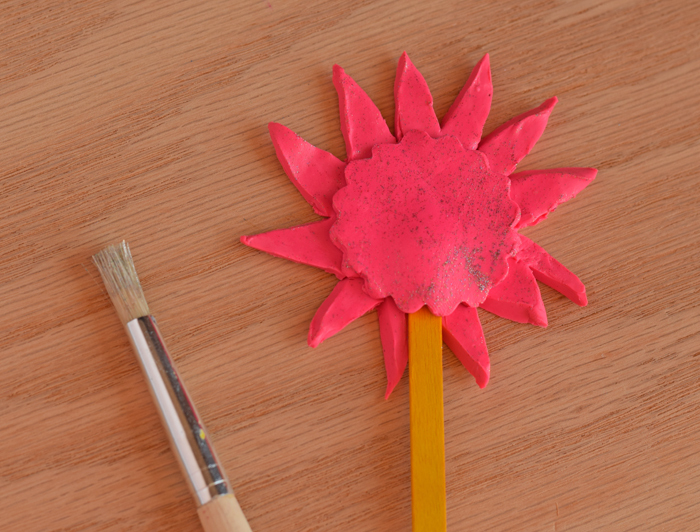 Clay projects bring back that fun of childhood play dough with a more sophisticated experience! 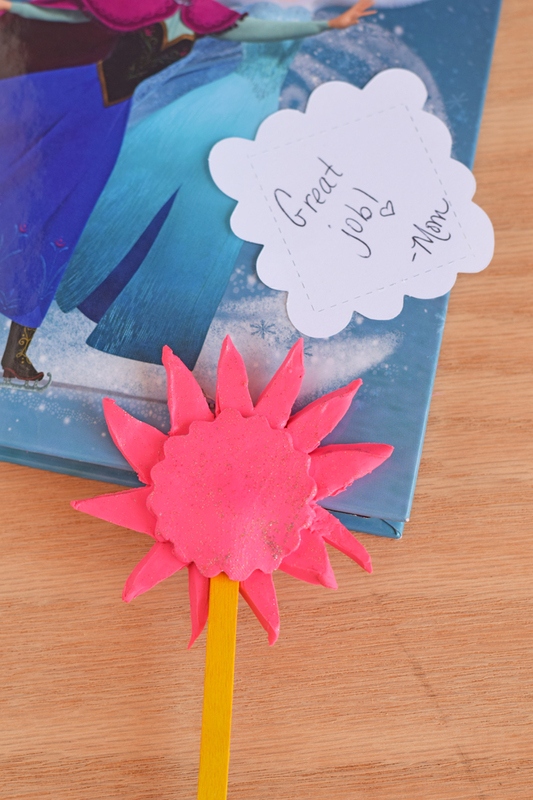 I’ve been using Sculpey Clay for years, and I happy to share a kid friendly clay project with you today! 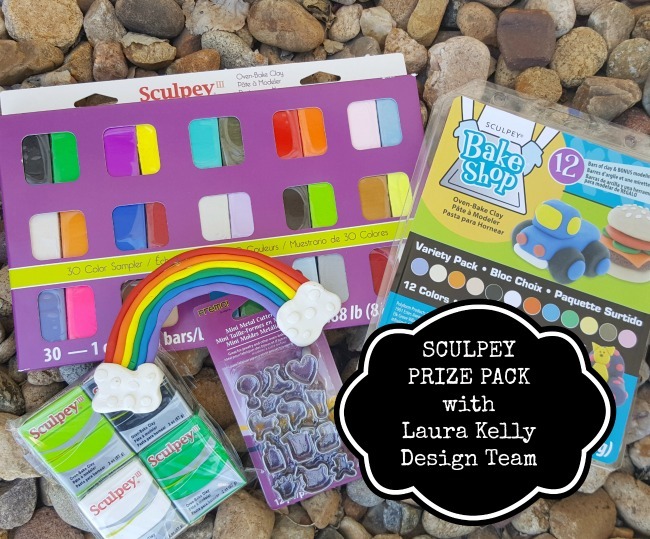 A huge thanks to Sculpey for sending me the supplies for today’s project and for sponsoring this post. So when she requested a bookmark for her chapter books (eek, my baby girl is reading CHAPTER BOOKS?? 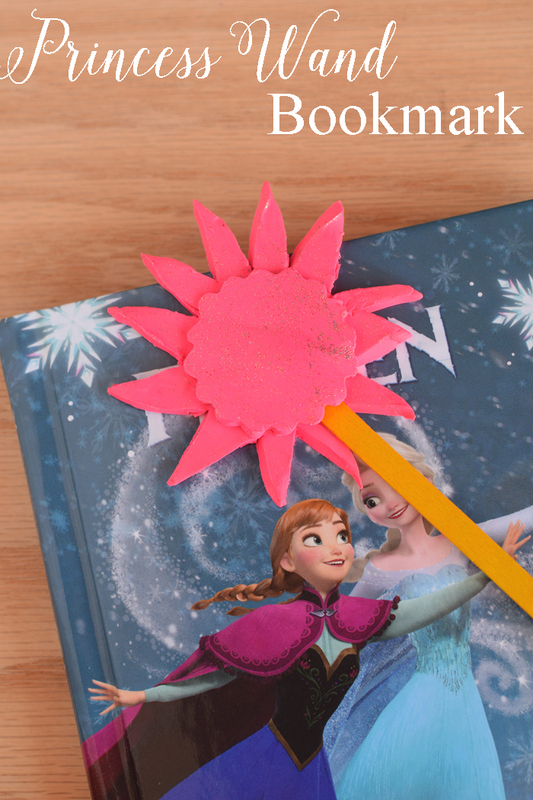 ), we took inspiration from the Sunshine Sizzix die to create a pink princess wand bookmark. I have always enjoyed crafting with Sculpey clay, and their Bake Shop clay is the perfect consistency for kids. It is not too difficult to condition (a.k.a., make soft and squishy for shaping), and I knew that it would be the perfect medium for my daughter’s first clay project. 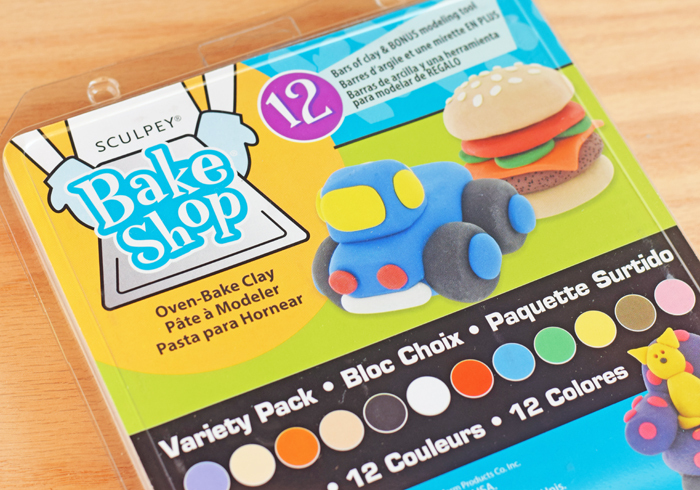 Sculpey Bake Shop Clay Variety Pack – This has a good selection of colors. 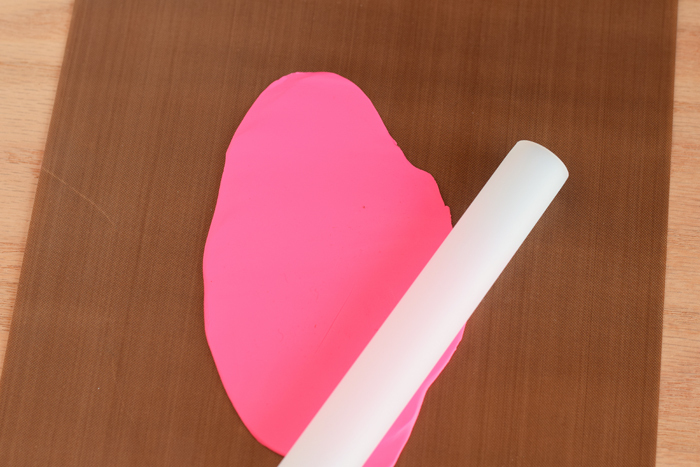 We are using the Hot Pink in the pack for this project. Please note that this clay is aged at 8+. Oven baking should always be done/supervised by an adult. Condition a section of the hot pink clay. 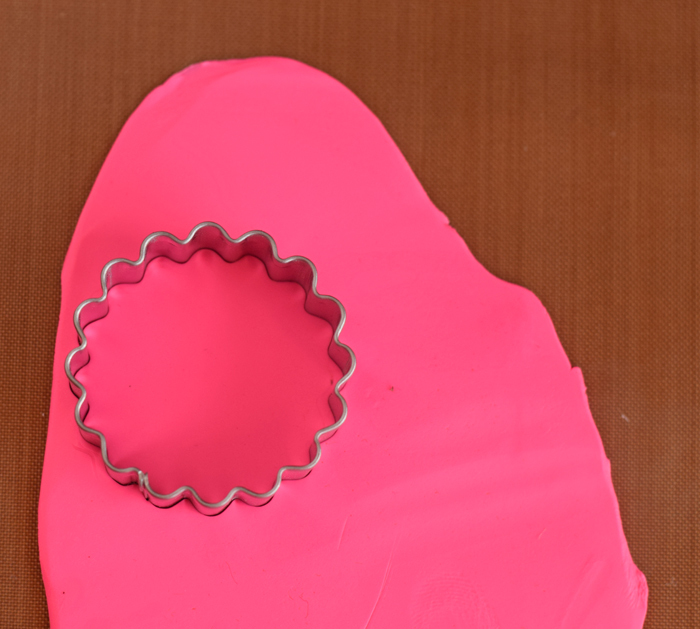 Using the cool set, roll it out to approximately 1/4″ on the Work ‘n Bake Clay Mat. Use the Premo! Sculpey Crinkle Cutters (the circle cutter) to cut out a crinkle-y circle. Lay that circle on top of the clay. 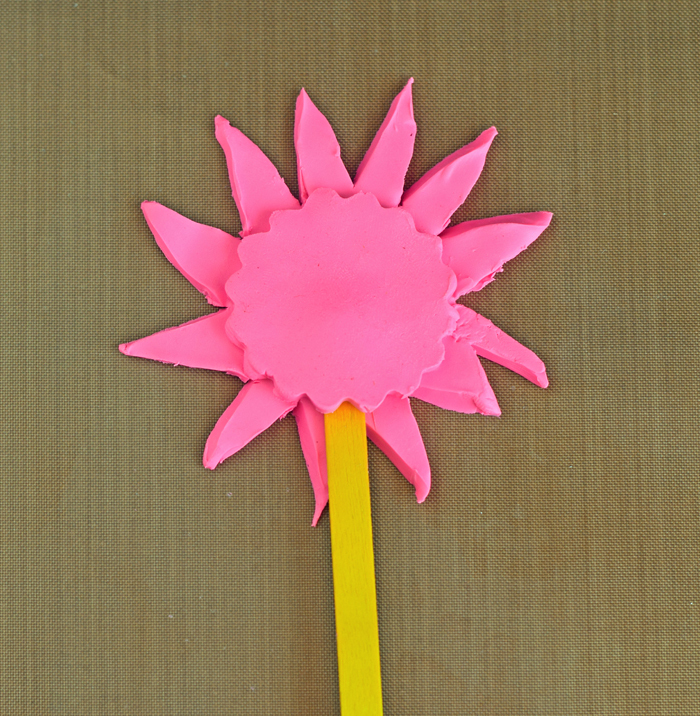 Use the tool out of the Bake Shop Clay Variety Pack to cut a “sunshine” from the clay under the circle. Insert the wood stick between the two pieces. ADULTS ONLY: Bake according to the instructions in the variety pack. Optional step: After baking, paint glitter on the wand for an extra sparkle! See more Sculpey Clay projects below! Disclaimer: Craft at your own risk. While every effort has been made to ensure the accuracy and effectiveness of all information on this website, It Happens in a Blink, LLC, makes no guarantee to the procedures shared here. It Happens in a Blink, LLC, is not responsible or liable for direct, indirect, or consequential damages or personal grievances resulting from the use of any information on ItHappensinaBlink.com. This website is not intended to be a substitute for the advice of a professional.